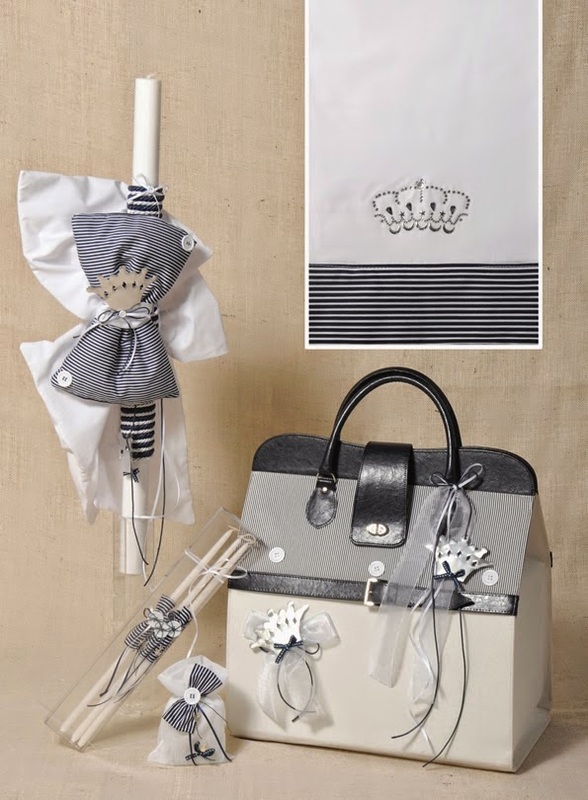 Elegant Greek christening set for boy-prince themed baptism-made with navy blue striped fabric and decorated with metal crowns. The set includes the lampada, ladopana (chrisoms), suitcase, three candles, soap, oil bottle underwear and towels. https://www.preciousandpretty.com/2015/03/prince-themed-greek-christening-set-sae127.html Greek Wedding Favors|Orthodox Crowns|Stefana|Baptism Invitations Prince themed Greek christening set SAE127 Prince themed christening set from Greece Product #: Greek Wedding Favors|Orthodox Crowns|Stefana|Baptism Invitations_7414351128314620191 5 stars out of 5 reviews.